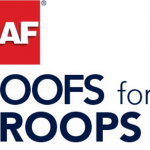 The condition of any roof is not just determined by the quality of the roofing materials installed. Underlying factors like insulation and ventilation are just as critical. Homeowners are often interested in projects to improve the aesthetic appeal of their homes, particularly those that may increase the curb appeal of their properties. But some projects, including improving attic ventilation, can benefit a home even when they aren’t especially eye-catching. Attic venting preserves the life of a roof while improving the energy efficiency of a home. 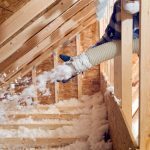 Although it may seem counterproductive to let air into the attic when you are sealing drafts elsewhere in the home, there is a practical reason to venting an attic throughout the year. 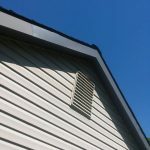 A ventilation system basically comprises a network of vents or ventilation strips built into the edge of the roof to maintain continuous airflow in the attic. The airflow helps keep the attic nice and dry, preventing rot and mold from forming. Some homeowners prefer having attic fans installed, which activates upon reaching preset temperatures, to keep the area cool and dry. However, it is advisable to consult the preferred contractor about the device because setting up will require running wires into the insulation. Before investing in a new home, take the time to ensure that a thorough roof inspection has been performed by a certified professional. Sit down with the roofing inspector prior to closing to go over any problems encountered, and make sure they are addressed before the sale goes through. To schedule an inspection, give Muth & Co. Roofing a call at (614) 882-0900. Our team of experienced roofers can advise you of your options and take care of any roof, gutter or ventilation repairs that may be necessary. Attic ventilation has a specific purpose, which is dependent on the season. 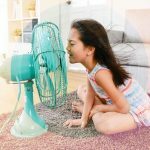 In the summertime, as heat rises to the attic, ventilation provides a release for the hot air that would otherwise cause your AC to work overtime and your utility bills to skyrocket. In the winter, when ice dams are a problem, venting out warm air will help keep your roof cool enough to prevent the snow and ice on your roof from melting and forming dams of ice at the edge of your roof. In general, you’re going to need about one square foot of attic ventilation for every 300 square feet of ceiling space. Other factors will affect these numbers as well, such as how many vent grates you have on your roof. But don’t worry, you don’t have to figure out these calculations on your own. If you think your attic’s ventilation may be lacking, the trained roofers at Muth & Company Roofing can determine the exact amount of ventilation your home needs. We would be more than happy to explain how the process works. 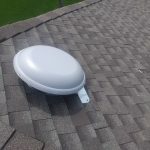 To cool your attic down further, consider installing an attic vent fan. This type of fan operates by pulling cool outside air into the attic, then pushing the hot air out. This decreases the heat in the attic and reduces the strain on your AC unit for more efficient cooling. Be sure to check with an experienced roofing contractor who can help you choose the correct size. Sizing is important with attic fans: get the wrong size, and it may not be able to move the air enough for you to be able to feel a noticeable cooling effect. It’s important to call on a knowledgeable, reputable professional if you have roofing issues that need addressed. At Muth & Company Roofing, we have years of experience with ventilation, insulation and all other aspects of your roofing system, so give us a call at (614) 882-0900 with any roofing questions or concerns you may have.